What sets the Luzerne County Public Defender’s Office apart from most other Public Defender Offices in Pennsylvania is the employment of social service advocates to best meet our clients’ individualized needs. The Office employs full-time social service advocates to provide biopsychosocial support services for clients and to work with staff attorneys in an interdisciplinary team. Together the team aims to identify and assess client strengths and needs, such as educational gaps, mental health issues, drug and alcohol addiction, lack of housing, unemployment, family issues, and other factors that lead clients into criminal justice system involvement, and to provide them with support and resources to improve life success, impact reform and avoid future law enforcement contact. Our social work staff take a detailed history of a client’s background including biology, psychology, social, education, etc. Such information is gathered via face-to-face client interviews, telephone interviews, disclosed medical/educational records, disclosed interviews with family members, and disclosed interviews with service providers. Once the biopsychosocial information is gathered and reviewed, a strengths and needs assessment is completed, which is helpful to determine areas in which a client excels and areas in which they may struggle. Referrals and treatment services may be offered to help improve areas in which they struggle. Treatment services are recommended and offered in the home, community, out-patient or inpatient treatment settings. The Office social work staff assures that services are provided in a timely manner. The biopsychosocial information provided to the attorney can greatly assist in the formation of case plans to include home, community, and out-patient services. This offers a great benefit for the client in lieu of incarceration or juvenile placement, if possible. The social worker may testify at court hearings to offer specific recommendations and alternative options to the Court. If a client is granted home/community-based treatment services, the social worker will continue to follow-up to help ensure such services are successful. If inpatient treatment is needed, the social worker will follow-up with the treatment provider and client to ensure the current needs of the client are being met. The social worker assists with pre-trial and post-sentence case planning and monitoring, and will continue to follow-up with the client as needed. 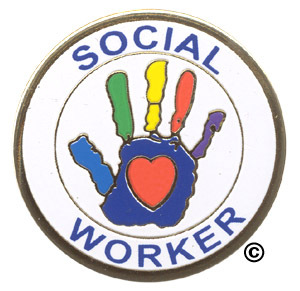 Overall, the Social Worker Unit aims to provide a holistic approach to legal representation for our clients, to help resolve their legal and non-legal concerns which may have led to criminal activity, and to open opportunities for success and stability that will decrease the likelihood of recidivism in the system, improve life outcomes and ultimately, improve our community at large.